A well designed traditional software system is capable of recognising and either avoiding or recovering from a number of expected events. However, during the design phase it is not possible to envision and thus equip the software to handle all events or perturbations that can occur; this limits the extent of adaptability that can be achieved. Alternatively a goal-oriented system has the potential to steer around generic classes of problems without the need to specifically identify these. 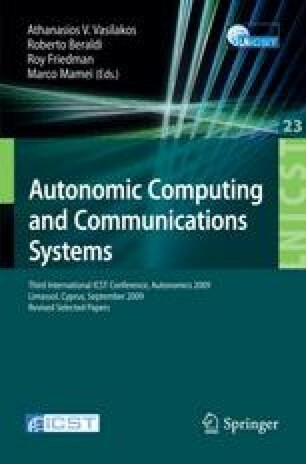 This paper presents a teleo-reactive approach for the development of robust adaptive and autonomic software where the focus is on high level goals rather than the low level actions and behaviour of software systems. With this approach we maintain focus on the business objectives of the system rather than the underlying mechanisms. An extensible software framework is presented, with an example application which shows how unexpected events can be dealt with in a natural way.